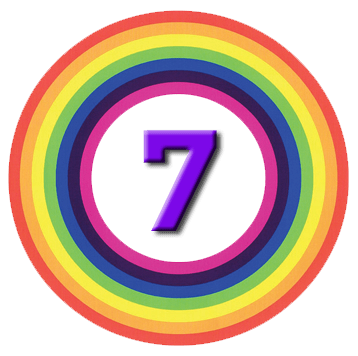 The point that Michael (Covel – just Michael from here on) wants to get across in Chapter Ten is that when you focus on the price action, all markets look similar. Michael Clarke (just Clarke from here on) is an example of a trader prepared to implement trend following in markets where he doesn’t fully understand the fundamentals. He has always worked out his house in a Chicago suburb. Clarke didn’t start out as a trend following trader. Clarke first began programming while attending college in 1967, and his first career was as a software developer. He won a programming competition in college. The prize was an interview for a job at Procter & Gamble, but the firm didn’t like his style – “a motorcycle and long hair”. He worked on Wall Street in sales, but wasn’t good at it. He was let go after the 1989 “mini-crash”. He started looking into trading systems, using System Writer Plus (a precursor to TradeStation) to back-test ideas, but the software couldn’t do what he wanted. So he built his own testing platform. This described a robust system that made money in all markets. Clarke built a version and it worked, across all markets. He started with US markets, then added foreign markets – they worked. Clarke used approximately 105 markets, with data as far back as 1945 [to test his system]. You want the model to trade all markets using the same rules and parameters, with good performance across 90-plus percent of markets. It should also show stability when tested with shifting parameters and altering rules. Clarke now relies totally on his system, which is just an evolution of his original system. Never, ever argue with your trading system. You must be willing to include models that have flat to negative performance for periods of up to two years. Don’t jump the gun in throwing away your models. You can go through long periods of no movement in the markets, and then all of a sudden, you will get a huge run-up. There is no secret. You can describe this way of trading in one word – patience. They know how to borrow cheap and trade at six to one leverage. The leveraged long strategies Clarke refers to work for a while, until they bust out like clockwork. They are the root of every big name blowup over the last 20 years. The purpose of Chapter 11 on Charles Faulkner is not immediately apparent. While not primarily a trader, Charles Faulkner brings a tremendously useful insight to the table. I can think of no one who does a better job of bringing traders and investors to a better understanding of themselves. Losses are part of the game. No matter the amount of experience you have, there will always be losses. That said, you want to make sure your losses are ones that you can handle. People in sports understand this. To build your skill, you need to take losses and learn from them. You hope to play against people better than you because that is what makes you better. In the world sports, you can see a person’s performance in black and white. You see they have talent, and statistical proof, and to go to them is to go to someone who knows their craft. That same assumption gets applied to financial advice too, but, unfortunately, there is a real chance that the person who made money last season did so by chance. You would not just take advice from a person who wins a few chess games – you want to learn from someone who understands the process. How did they get there? Do they have a good process? The whole media cultural milieu now is one where you ought to be gratifying yourself immediately. Very few are discussing how you can save, invest, or increase your assets. In sports, amateurs feel no gratification from just playing and losing. The gratification for professionals comes when they lose, go back and practice, and then play another day knowing they will win this next time around. We are not designed for efficiency. We are designed to satisfy a tendency to take the best decision that we can, grab hold of it, and enforce it in the present moment. And even if that holds us back later, we do not really mind. We do not stick with our money decisions just because we made them, but rather, we stick with them because they are us. For example, many traders as long as they have not actually sold a losing stock can pretend that it is not a loss. We’re actually designed to think that what we lose is going to come back. So the idea of cutting your losses quickly and letting your gains run is in fact going against human biology. If a piece of gold is lying on the ground, fundamental traders would say that it can’t be real because somebody would have picked it up already. Michael obviously hasn’t made it over to England. All in all, it’s quite the chapter. In chapter 12, Michael notes that Ed Seykota has been mentioned in five chapters of his book. Ed has written lyrics to an old banjo song that he has renamed the Whipsaw song. I’m unclear on the legality of reprinting song lyrics, but you can find Ed singing the song on YouTube. A whipsaw is a price movement in one direction followed by a move in the opposite. If you chase the first breakout, you’ll get stopped out with a loss. The point of Ed’s song is that one big winner (“one good trend”) pays for a lot of small losses – the whipsaws. It also recommends riding winners, cutting losses, the use of stops, sticking to your plan and ignoring hot news. And that’s the end of the book – almost. There is an appendix, which looks at a few properties of the stock market, and of trading. The stock market yields a minority of very large winners, a majority of below average returns, and a larger than expected number of dramatic losers. In other words, a winner-takes-all distribution. A small minority of very strong and very weak stocks have a disproportionate impact on results. Thus money management is crucial to investment success. 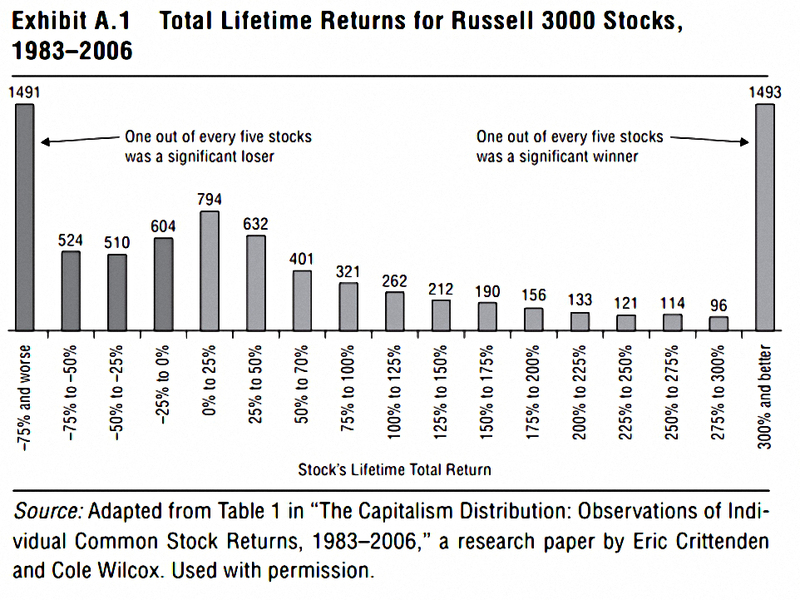 One out of every five stocks was a significant loser, one out of every five stocks was a significant winner. An investor who owned 95 percent of all stocks, but who missed the 5 percent best performing each year, would have lost money from 1991 to 2008. Alternatively, an investor who owned 90 percent of all stocks and managed to avoid the 10 percent worst performing would have doubled the market’s compounded annual return. 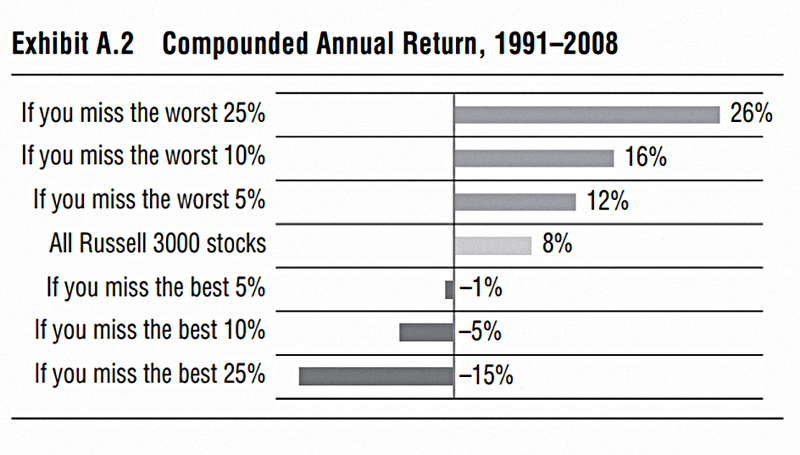 A positive average return is not enough. 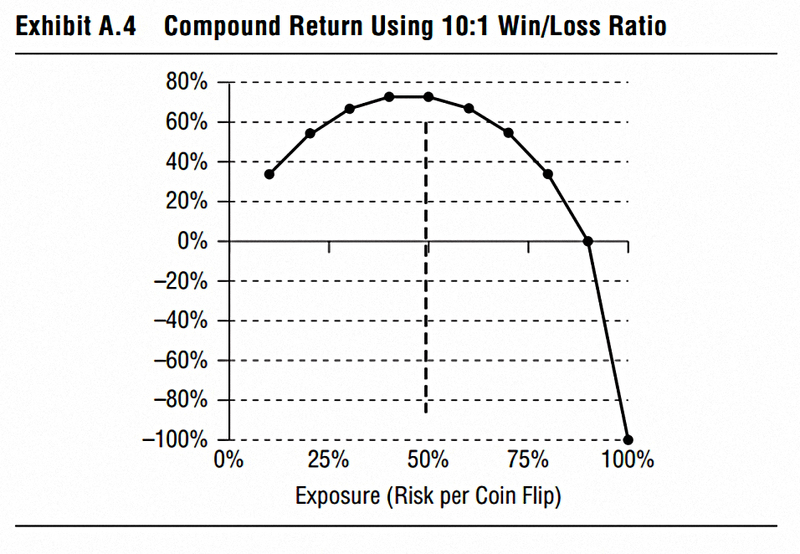 Consider a coin flip: heads you win 200%, tails you lose 100%. This yields an average return of +50% – IF you bet everything on each flip. Which would mean you would go broke on the first loss. Betting 25% turns out to give the best results. I think this is the Kelly criterion in action. 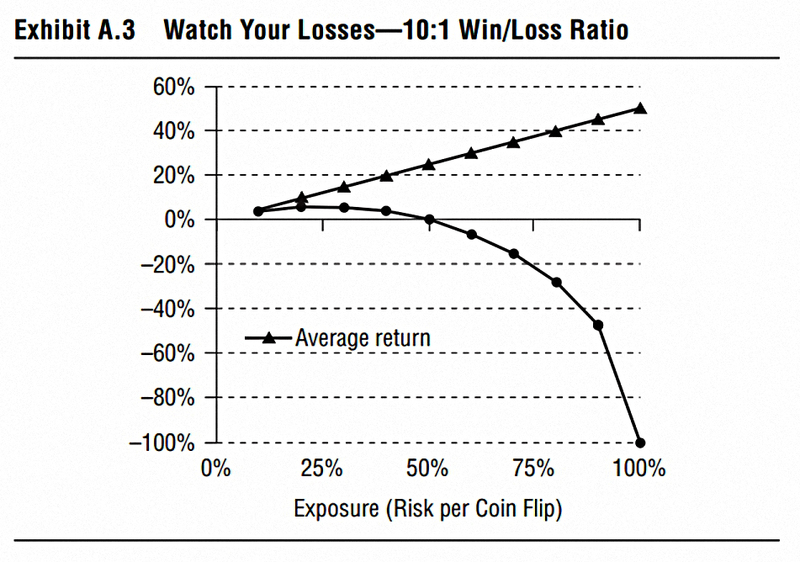 Even if the win/loss ratio is 10 (win 100%, lose 100%), you shouldn’t risk more than 50% per bet. And that really is the end of the book. It’s been a strange conclusion, with the last three chapters (including the Appendix) out of keeping with the previous 10. I’ll be back in a couple of weeks with an attempt to digest the lessons from the four articles into a single post. After that we’ll move onto Covel’s main book – Trend Following.